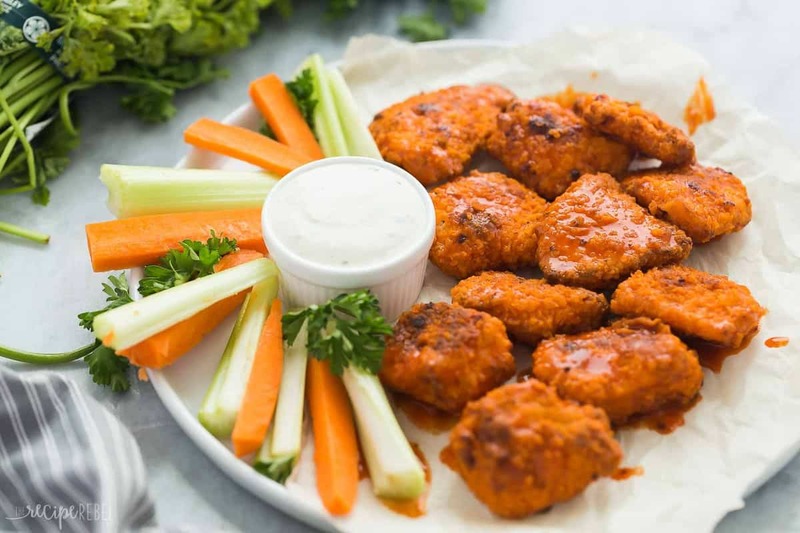 These Boneless Chicken Wings are BAKED instead of fried and made with lean chicken breasts for an easy game day party food idea sure to impress! I’m all about party food, but if I’m being totally honest, wings aren’t my first choice (though these Crockpot Chicken Wings make them a little more tempting!). I mean, they’re messy, right? It’s nearly impossible to get all the meat off the bone and your hands (face, clothes, etc.) get covered in sauce… it’s not my best look. 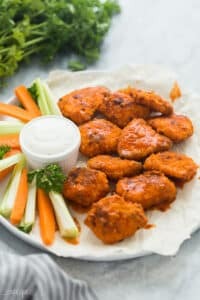 So while these Boneless Chicken Wings aren’t actually wings (bear with me for a sec), they’re easy to make and really? No one will care about the difference. 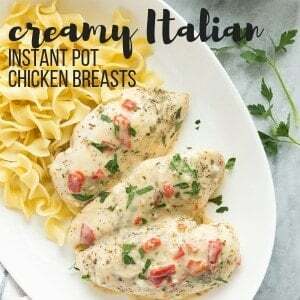 They are poppable, less mess, made with baked skinless chicken breasts which cuts down on the fat content (not that a little fat ever hurt anyone! ), and you can make them any flavor you want. I don’t know anyone who doesn’t love finger foods, whether it’s game day or not! 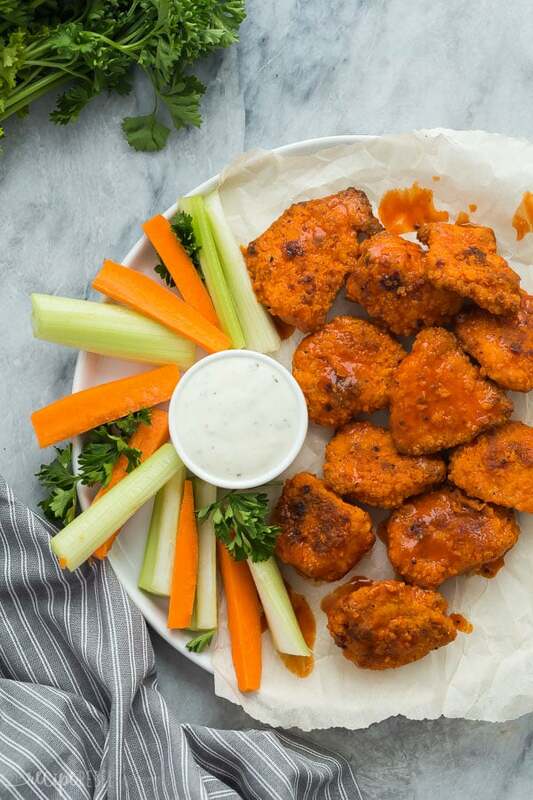 When I was making this post, I doused this batch in buffalo wing sauce because it seemed like the right thing to do. But there are lots of other options! 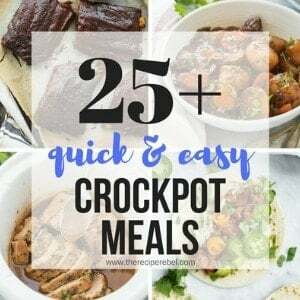 One of the easiest ways to serve these for a party is right out of the crockpot. To do so, simply bake as called for in the recipe. 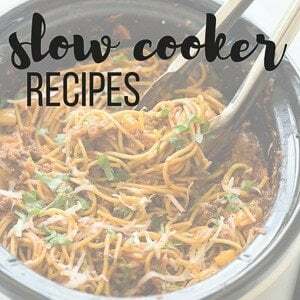 Then transfer to the slow cooker, coat in sauce, and turn to keep warm for up to 3 or 4 hours. Cut chicken breast into 3/4-1" cubes. Place in a small bowl and cover with buttermilk. Let soak 5-10 minutes (or as long as overnight). Preheat oven to 450 degrees F. Line a heavy baking sheet with parchment paper and place 2 tablespoons butter in the center. Place in the oven while it preheats. In a medium bowl, whisk together Panko, flour, salt, pepper and garlic powder. Remove chicken from buttermilk and dredge in Panko mixture. Remove hot pan from oven and brush melted butter to cover an area of the parchment large enough to fit all of the chicken without it touching. Place the chicken pieces on the buttered parchment. Bake for 10 minutes, then flip and bake for 5 more minutes until golden brown. Remove from the oven and toss with sauce in a medium bowl. Serve. 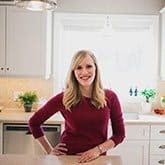 I love easy dinner recipes, especially when they turn out to be something my whole family loves!.